In this post, Archives Assistant Ashley March gives us a preview of his talk next Tuesday (1 December) at 7pm. Ashley has been delving through the BPMA’s files to explore how, with the Post Office’s help, Santa started writing back to children across the UK. 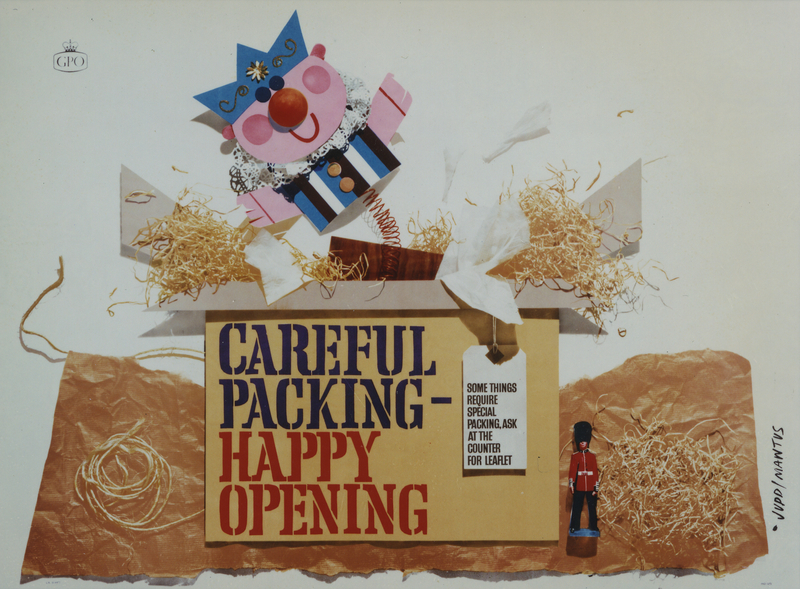 It turns out we have quite a few files dedicated to Santa mail, back then and since. Looking through the titles, my head filled with questions: Why start sending Santa’s replies at that time? Why the Post Office? And who decided what Santa could send? We take it for granted today that Father Christmas writes back to any of us (if, all importantly, we supply a return address), but we should remember that it might not have turned out this way. It was possibly made in a hurry! Rummaging around in our repository, I’ve unearthed a great selection of stories like this to share, so please join me if you can. Did I mention that there will be mulled wine? Join Ashley next Tuesday 1 December at 7pm. Book your tickets today online or ring + 44 (0)20 7239 2570 to reserve your place! One of the things we often get asked, as keepers of the Royal Mail Archive, is what we can tell people about their relatives who worked for the Post Office. We don’t always hold the answers, but when we do, it’s a wonderful feeling helping others to understand the lives of their loved ones. Every so often, someone contacts us to look further back in time – to add a ‘great’ (or three) to the usual enquiries about parents or grandparents. As someone with the bug myself, I fully understand this; researching your family history can be highly addictive and it can turn up some great stories. Unfortunately the records can be difficult. We have a standard set that we search for our Family History Research Service, but the further back in time you look, the harder it can be to find particular people. So, when a request came in to research a man called Edward Randall Pascoe, born in 1779, I was worried that we wouldn’t find much to get our teeth into. As a further challenge, we were asked if we could find the cause of Edward’s death, when he was just 42 years of age. Could we help at all? Edward Randall Pascoe, it turns out, was a packet boat captain. Our enquirer, married to one of Edward’s descendants, already knew this, as they had found a mention of him becoming Commander of a ship called the Mansfield in our Appointment records (handily digitised by www.ancestry.co.uk). 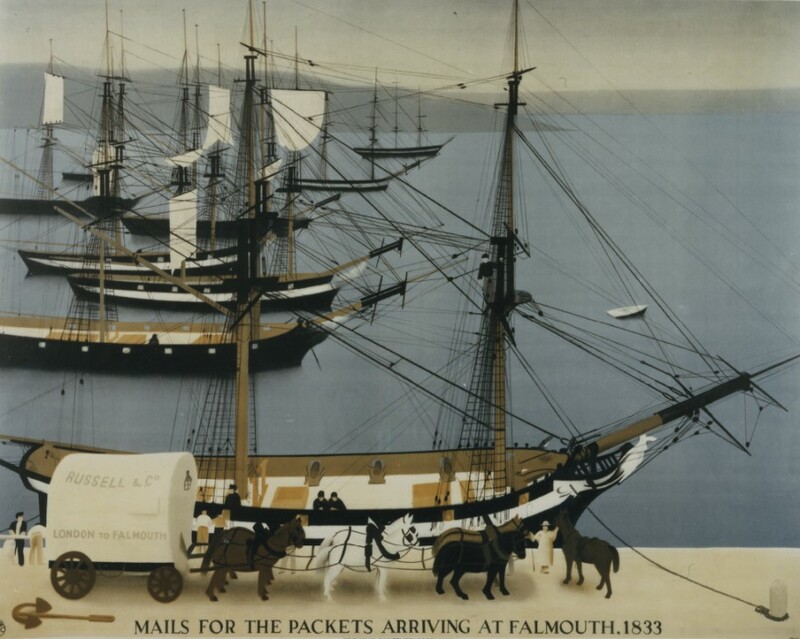 By that time, April 1821, packet boats had been carrying Post Office mail across the sea for over a hundred years, and Edward’s task on the Mansfield was to see the post safely from Milford Haven, Wales, to Waterford, Ireland, and vice-versa. Since our enquirer knew this already, we agreed to work differently from our usual service, to hunt for something useful. 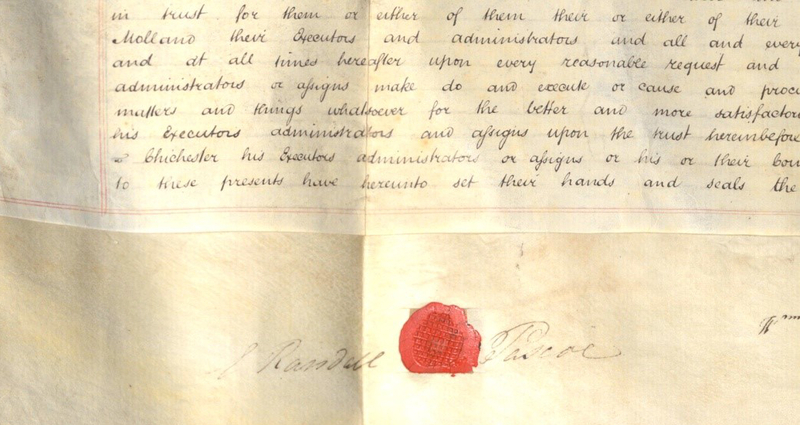 Searching our catalogue, I was excited to learn we held a record of the Mansfield dated 1 August 1821 – only a few months after Edward gained command of the ship – in a box of ‘Bills of Sale’. I unfolded it very carefully and read that ‘Edward Randall Pascoe of Milford in the country of Pembroke, Mariner, and William Molland of Dover in the county of Kent, Gentleman,’ agreed to buy the Countess of Mansfield from the Postmaster General for ‘one thousand eight hundred and forty pounds eight shillings and six pence,’ as long as Edward still carried the mail. It described the vessel – ‘a square sterned Cutter’, ‘British built’ – in great detail, but best of all, lying at the bottom of the page, Mr Pascoe had placed his personal seal in wax and signed his name. A trace of the man himself! A rare find indeed. 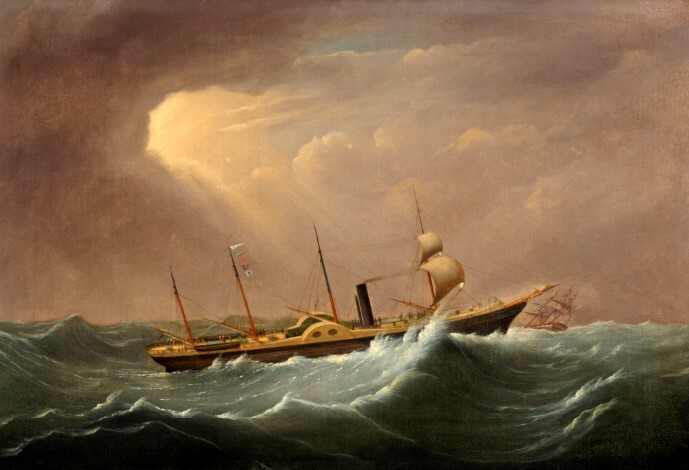 Further appointment records showed that Mr Pascoe later captained a Steam Packet (a steam-powered, mail-carrying ship, which gradually took over the trade from 1815) at Port Patrick, Scotland. Our enquirer could fill in one blank – that business partner William Molland was in fact Edward’s father-in-law – but what about the captain’s sad death in 1827? I could not find a record of a Death Gratuity, a kind of compensation payment for those killed in service, so it seemed that his fate would remain a mystery. As luck would have it, however, I discovered that we had been asked about Mr Pascoe a few years before by another of his descendants, who had in fact written a book about his family. I got in touch with her and she completed the story: taking a ship to Holyhead, Wales, for repair, Edward was injured at sea, and died of a fever shortly after completing the crossing. We were able to put these two researchers (and distant relatives) in touch with each other for the first time, and they have been able to enjoy sharing their discoveries. I wonder what Edward Randall Pascoe would make of it all! While it’s a sad truth that most of our family-history-seekers don’t find such intriguing tales – and some of them find nothing at all – we have to celebrate the success stories. It makes you wonder: who might find each other in a few hundred years’ time piecing together your own life? 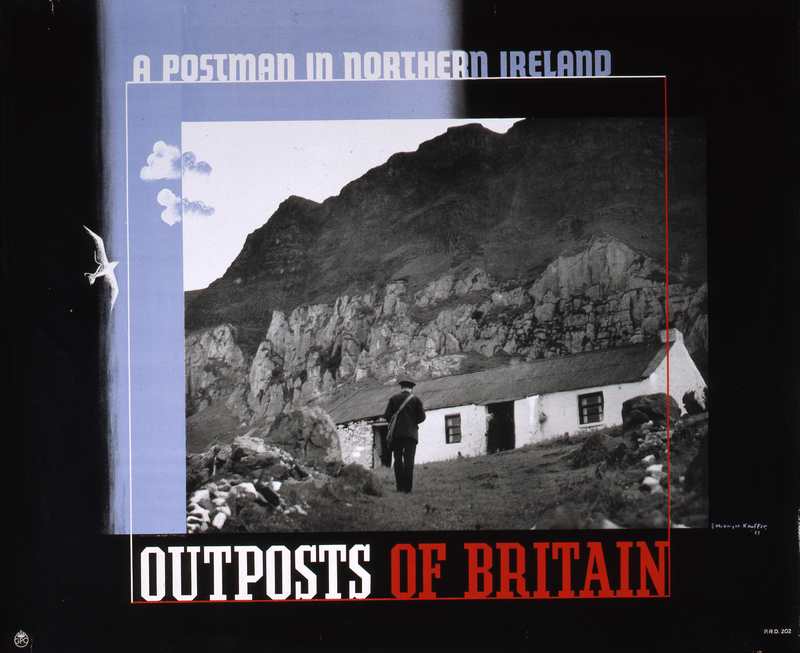 During the First World War, the GPO handled mail sent to and from prisoners of war. These included captured soldiers and civilians who had been in the wrong place at the outbreak of hostilities. 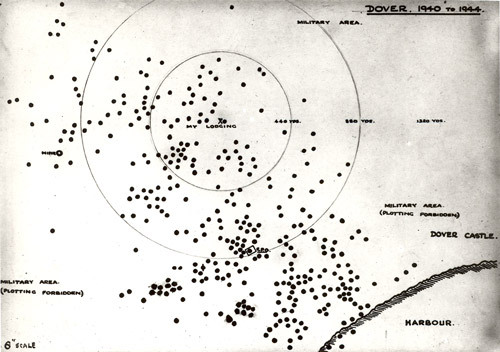 Before mail reached its recipient, it would be examined by censors on both sides of the conflict. GPO transcript of a complaint from the Bedford Bread Fund (POST 56/243). POST 56/243 (1916) concerns a series of complaints from the fabulously-named Bedford Bread Fund, a charity that sent parcels of bread to British POWs in German camps. The loaves were being sawn in half by the British censors to inspect them for concealed messages, leaving them entirely inedible by the time they arrived. The file also documents the censors’ trials of loaf-prodding by bone knitting needle. While less invasive, the needles alas broke off inside the loaves. 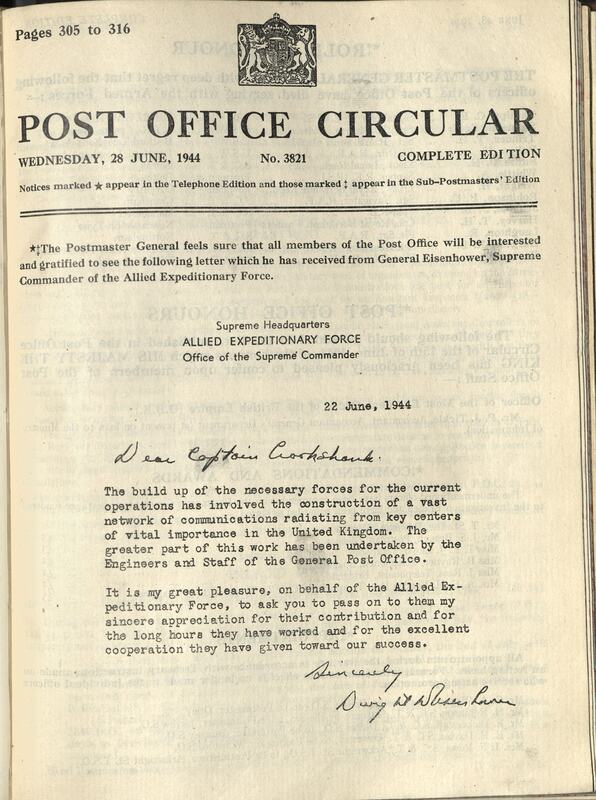 The GPO’s reply to a complaint about comments on censored mail (POST 56/212). POST 56/212 (1915) contains complaints forwarded by a countess from her POW husband. A concern was that mail was arriving at the camp with pencilled comments from censors, asking the prisoners to persuade their families to write shorter letters, and to write more neatly. Censors, he said, had no right to express this kind of stylistic criticism. As you can see from the GPO reply (above), the comments were apparently left by the German censors who, after all, had a job to do too. I love these two files. They seem absurd, and yet they’re perfectly logical and justified under the circumstances. Other favourite cases include an intercepted parcel of construction textbooks sent to a French POW, and a query about whether letters to Russian POWs could be written in the Russian alphabet. 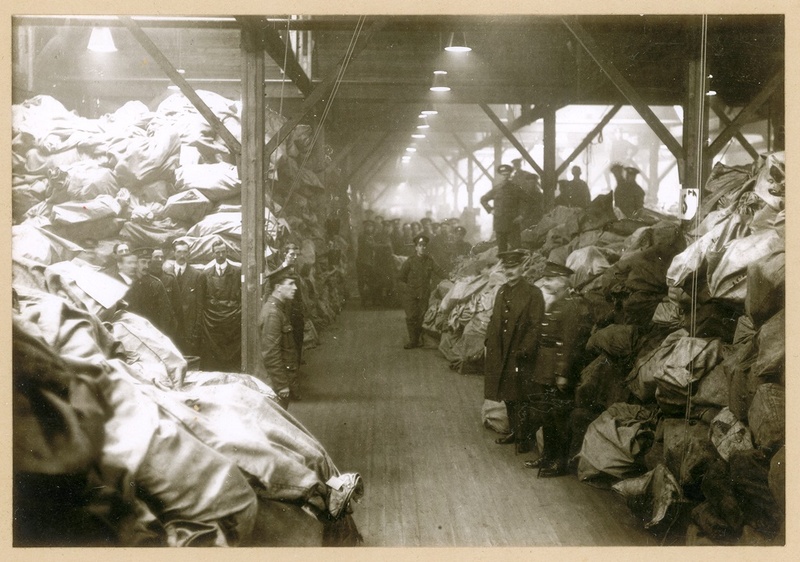 Sorting mail for the troops at the Home Depot, Christmas 1916 (POST 56/6). The censorship records are part of a collection of around 500 files that I’m cataloguing. 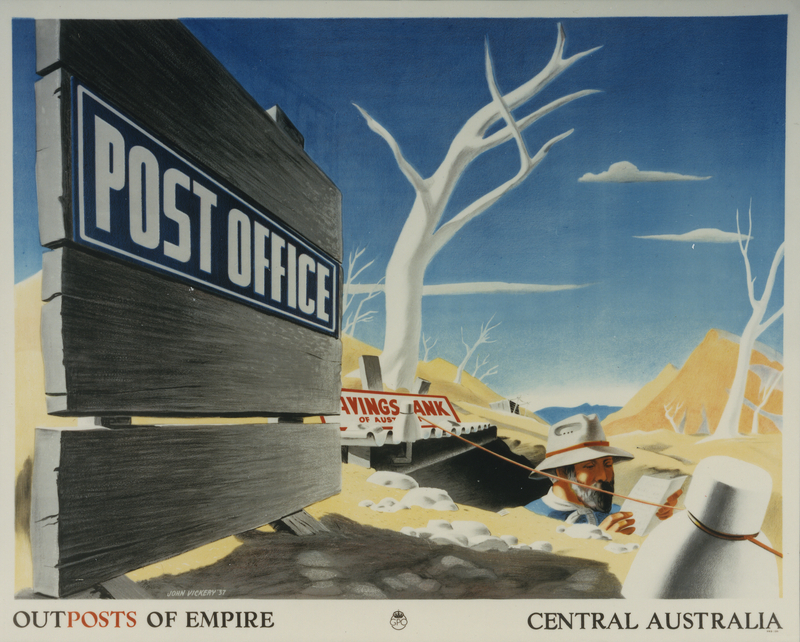 The files document the Army Postal Service from the 1900s to the 1970s, including both World Wars, and are genuinely global in scope. 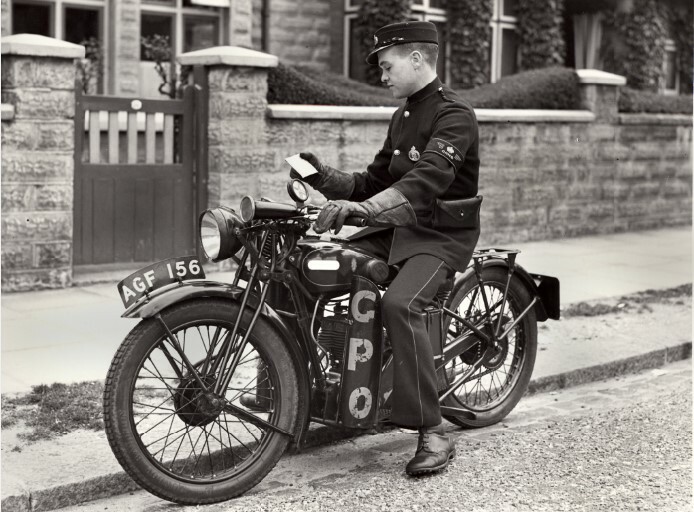 Much of the material originated from the Royal Engineers Postal Section, a forerunner of today’s Royal Logistic Corps that drew many of its men from GPO staff. All these files will appear on the Archive catalogue in the next few months. The following is the first-hand account of Marilyn Vinall, Post Office worker, in the aftermath of the Great Train Robbery. 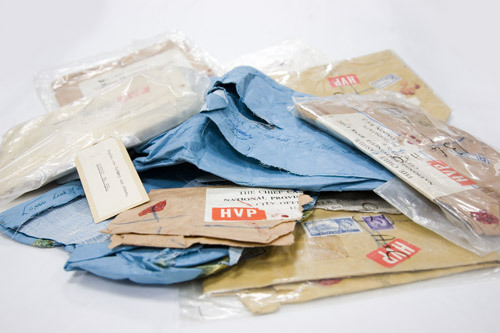 Packets recovered from the Great Train Robbery. 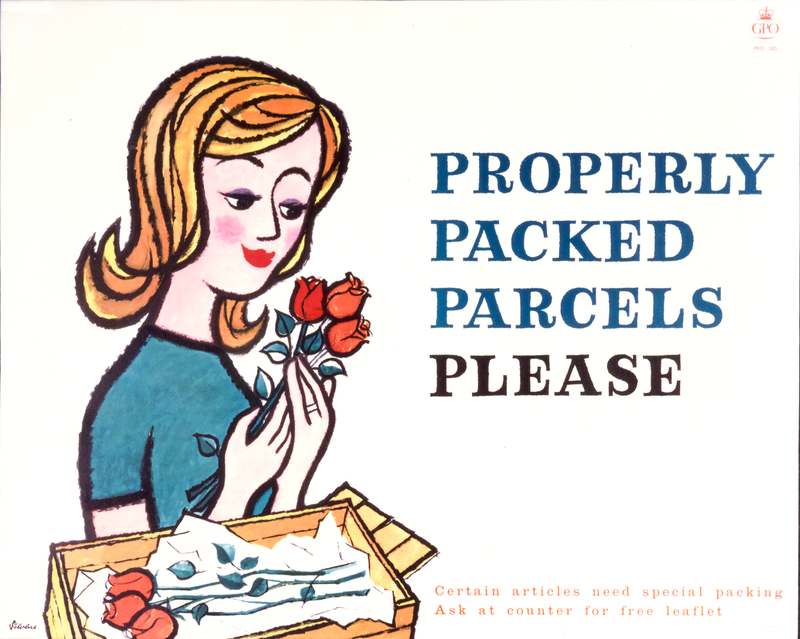 My first employment at the age of 16 years was at Guildford Post/Sorting Office, Woodbridge Meadows. Late one evening the Head Postmaster came to my parent’s house and said that I had to return to work because something very important had occurred. My parents were far from happy about this situation (I was actually in bed and asleep but because the Head Postmaster of Guildford carried quite a lot of authority at that time, my parents agreed – I guess they were in awe of him and I was too). When I arrived at the Post Office there were two very official looking men waiting for me. I was introduced and then reminded that I had signed the Official Secrets Act – I was rather naive and didn’t really know what this meant but I thought it made me very important. It was explained to me that Guildford Post Office had been chosen to collate information about a robbery and during the next days I typed many documents including the Post Office “wanted” notices, which were subsequently printed and circulated to other offices in the country. I specifically remember that the two men were on the trail of the robber who was captured in a caravan at Box Hill, Dorking and they were very excited about this quick outcome. When the work was completed my reward was a meal in a Guildford restaurant with these two men…this was exciting as it was the first time I had eaten in a restaurant in the evening. Years later when I realised that the Great Train Robbery was going to become part of history I was reminded of my small involvement. 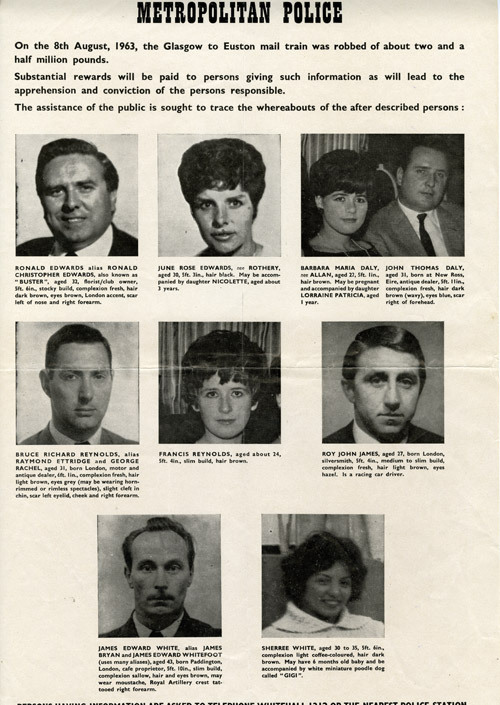 The BPMA is very grateful to Marilyn Vinall for allowing us to share her memories of the aftermath of the robbery. Our exhibition The Great Train Robbery, the aftermath and the Investigations: A Story from the Archive is travelling to Loughborough, Peterborough and Darlington in October. It can also be viewed online.